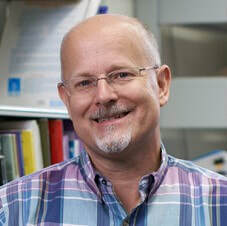 ​John Macalister is Professor in Applied Linguistics at Victoria University of Wellington, New Zealand. He has worked in ELT as a teacher, teacher educator, and research-active academic in many parts of the world, including Thailand, Cambodia, Singapore, Malaysia, Kiribati, Namibia, and New Zealand. His chief interests are in language teaching methodology and language curriculum design, and he has published (with Professor Paul Nation) two books in this field: Language Curriculum Design, and Case Studies in Language Curriculum Design, both with Routledge. John is also Associate Dean (International) in the Faculty of Humanities and Social Sciences, and in this role works closely with universities and language education providers in Vietnam. programme with existing beliefs about learning and teaching. These beliefs have to a large extent been formed by our own experience as learners. During the teacher education programme, there is an expectation that change and development will occur, and part of this is an expectation that existing beliefs will be challenged. Much of the research suggests, however, that very often this does not happen to any meaningful extent. This talk begins by drawing on data from a multi-year longitudinal research project in order to illustrate the journey we take as we become language teachers. The factors that shape language teacher cognition will emerge from this data. The talk will then present an approach to language teacher education that actively challenges existing beliefs, by promoting reflection both on past and current learning experiences and on future teaching scenarios – in other words, “creating dissonance”. At the same time, this approach provides a new framework for classroom decision-making and programme design – thus “restoring balance” – so that new teachers can enter the classroom with confidence. Prof. Richmond Stroupe has worked with university and professional language learners from Asia since 1989. He received his Bachelor of Arts from Wake Forest University (USA) and has a Master’s of Science from Florida State University (USA). He received a PhD in International Comparative Education (Administrative Policy and Planning) from the University of Southern California (USA). Richmond is currently the Chair of the Master’s Program in International Language Education: TESOL at Soka University, Japan. He is professionally active in Japan, with the Japan Association for Language Teaching as the Chair of the association’s International Affairs Committee, and internationally, with TESOL Organization in the United States, as the outgoing Chair of the Standing Committee on Standards, and in Cambodia with CamTESOL, as a member of the international mentor group and Conference Planning Committee. Also, he is the Editor-in-Chief of the IDP Education sponsored Language Education in Asia publication, an internationally peer-reviewed online journal focusing on language education research and practice in the region. He actively conducts workshops, publishes and presents on professional activities and research projects, which currently include the use of international standards as internal evaluative tools, teacher collaboration, and the investigation of student expectations, motivation and perceptions of language learning in varying national contexts in Asia. His research interests also include teacher education practices, curriculum and professional development, and developing learners’ critical thinking skills. As part of the global community, our learners will be required to learn autonomously and be able to think critically. In addition, our learners need to be able to manage large amounts of information effectively, use technology appropriately, understand the cultural perspectives of others, and work collaboratively and in leadership positions. All of these skills are more increasingly being incorporated into educational programs that are often providing content through English medium instruction, increasing the expectations placed on students and instructors alike. Dr. Willy A Renandya is a Principal Lecturer at the ELL Department, National Institute of Education, Singapore. Prior to his current position, he taught at SEAMEO RELC, Singapore, where he also served as Head of the Department of Language Education and Research. He has taught in many parts of Asia, including Singapore, Malaysia, Indonesia, the Philippines, and Vietnam. He is a frequent speaker at language conferences in the Asian region. He holds an MA in TESL and a PhD in Educational Psychology. His teaching and research interests include second and foreign language pedagogy, extensive reading, language testing and curriculum development. He has published research articles in various journals, authored an ESL textbook, and edited numerous books and anthologies. His latest publications include Motivation in the language classroom (2014, TESOL International), Simple, powerful strategies for Student Centered Learning with George Jacobs and Michael Power (2016, Springer International), and English language teaching today: Linking theory and practice with Handoyo P Widodo (2016, Springer International).  The Head: What kinds of knowledge bases do effective language teachers have?  The Heart: What kinds of affective dispositions do they possess?  The Hands: What kinds of practical teaching skills do they have? I will argue that when the three H’s work in harmony, we can expect language teachers to deliver an engaging and impactful lesson in the classroom. graduate levels. He also specializes in teacher training in Thai contexts with a focus on English teachers’ language skills and professional development for primary and secondary education. His research interests involve second language writing, written discourse analysis, ESP, and ELF. He is now President-elect of Thailand TESOL Organization and serves on review boards of several ELT-related journals. Teaching and researching Second Language Writing (SLW) have received continued interest and attention from EFL/ESL practitioners and researchers in diverse settings. As writing is an essential but very challenging skill for students, its development can be discouraging to both students and teachers. So that L2 writing performance can be enhanced and evaluated more effectively, different topics and issues regarding SLW research and instruction need to be properly addressed. This talk provides an overview of contributions to current SLW practices and studies ranging from disciplinary to interdisciplinary and meta-disciplinary field of inquiry. It also presents approaches to teaching writing including product-oriented, process-oriented, and post-process approaches. In addition, different types of feedback in writing and writing assessment will be introduced and discussed. With respect to SLW research and its future directions, this talk will present various topics relevant to theoretical orientations, contexts, and methodologies. Insights from literature are expected to help writing teachers and researchers redefine their goals with a clearer focus and improve their pedagogical practices in a more productive way.